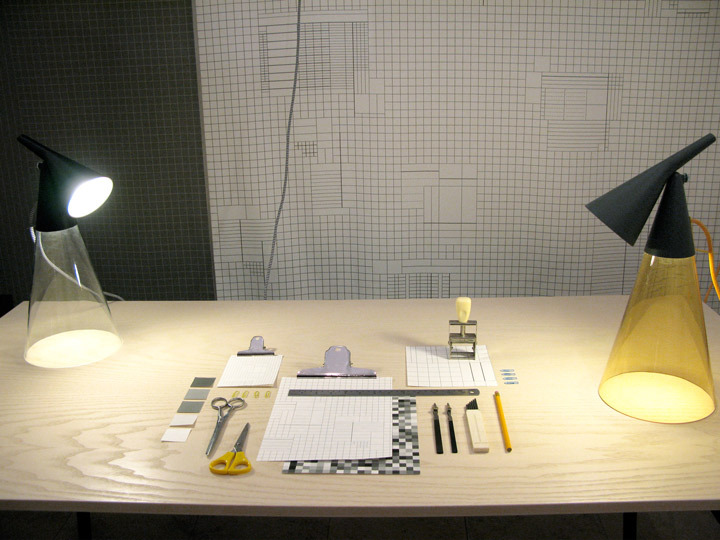 Stockholm Furniture Fair 2011. Collaboration with Hallo Essen. Abstract and figurative melting together. 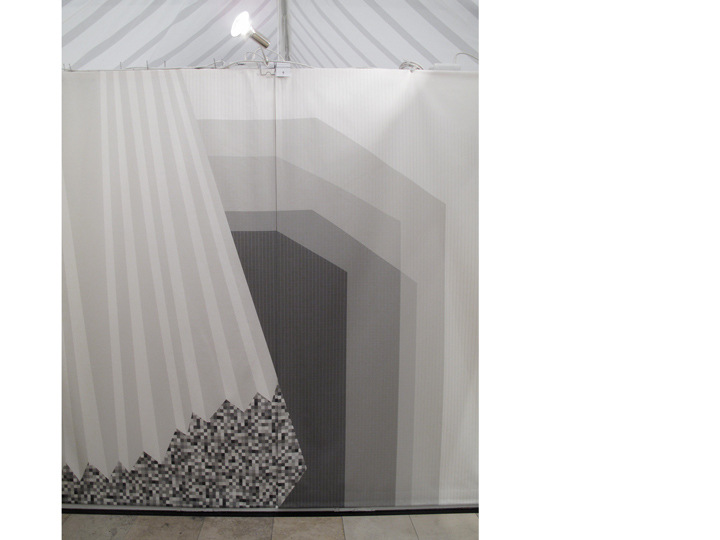 Four textile panels that form an ensemble. 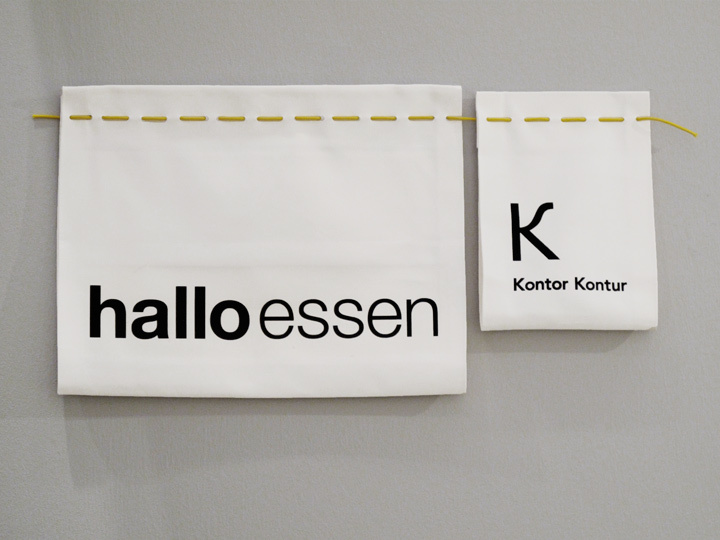 During the winter we have had an idea correspondence via electronic post with Hallo Essen. 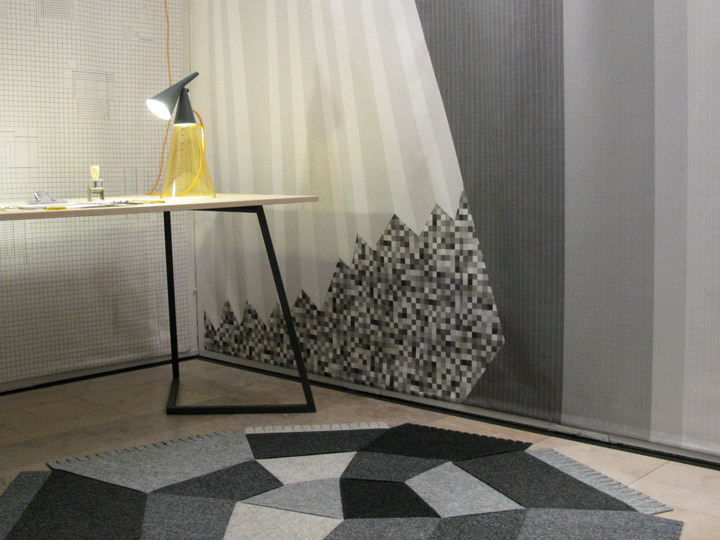 Hallo Essen made the furniture and Kontor Kontur the printed textiles and still life. 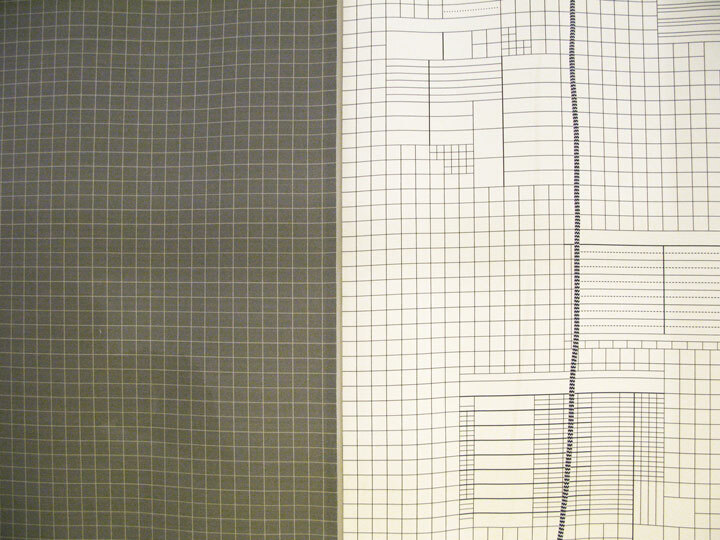 A 2x2 cm grid is the foundation in the textiles, squares turn into lines. 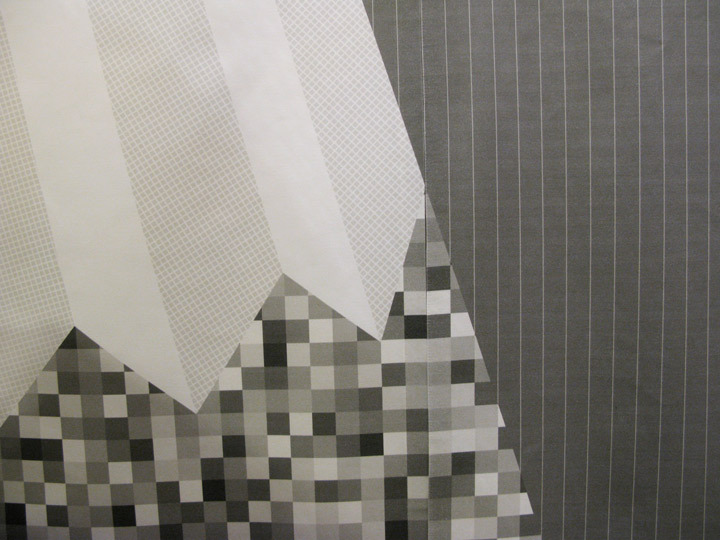 Patterns that are growing. Different shades of gray. Pleats and tailored chaos. 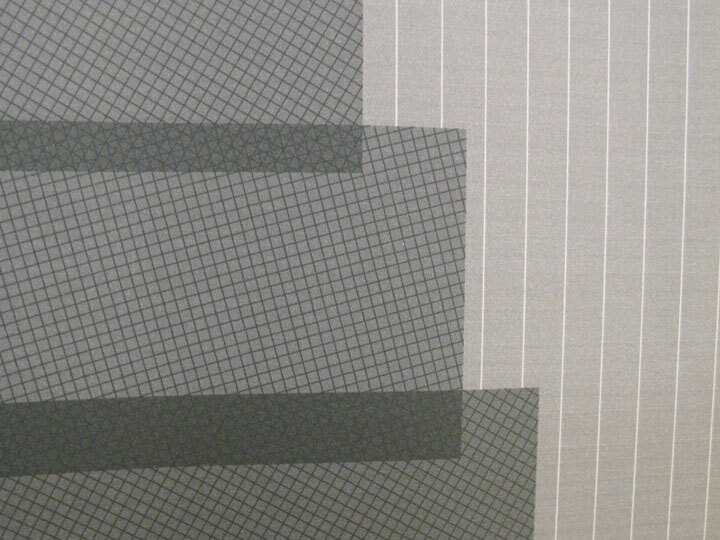 Breaks, structures, surfaces, lines and shades create depth and form. The drawer »Poki« in front. 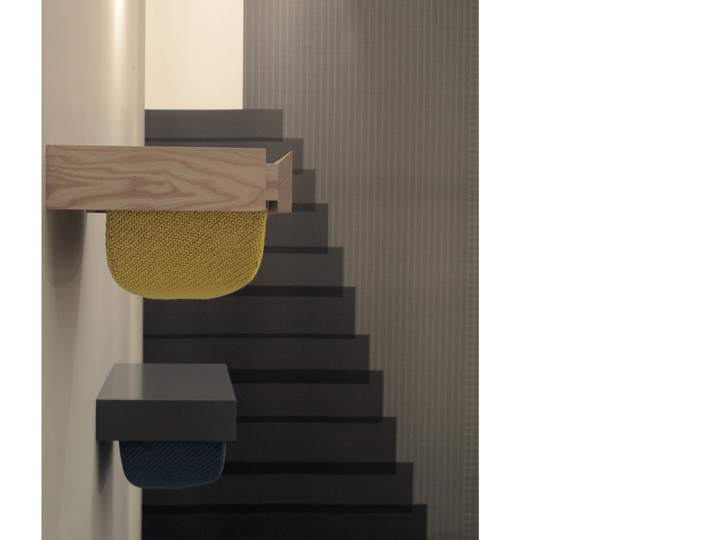 Textile stairs and door in the back. 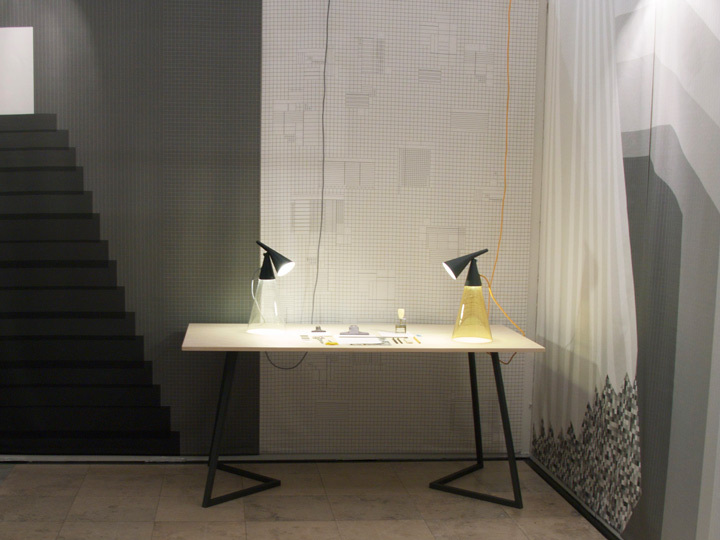 The walls correspond with the carpet »Eifel«, the table »Mü« and the lamp »Beam«.